We just love this place – makes me happy to walk in the door. They serve tapas paired with their wines– there are some other menu options, but don’t even think of it: the tapas/wine pairing is the way to go. 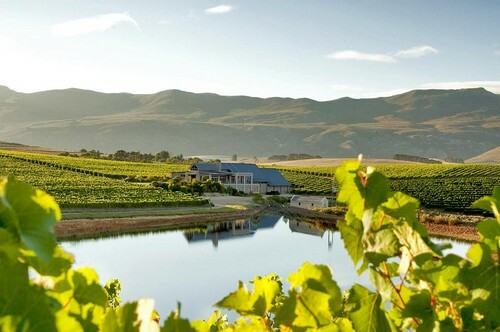 This overall experience is just not to be missed: the estate is lovely, perched on a hillside overlooking the valley planted with their vines and offering stunning views from the glassed-in tasting room/restaurant – or if you are lucky and it is not too windy, outside on the wrap-around terrace. The pungent scent of buchu greets you as you ascend the steps to the restaurant: a cosy, yet airy space arranged around a central fireplace, with a homey mix of mismatched wooden tables of different shapes and sizes throughout the room. 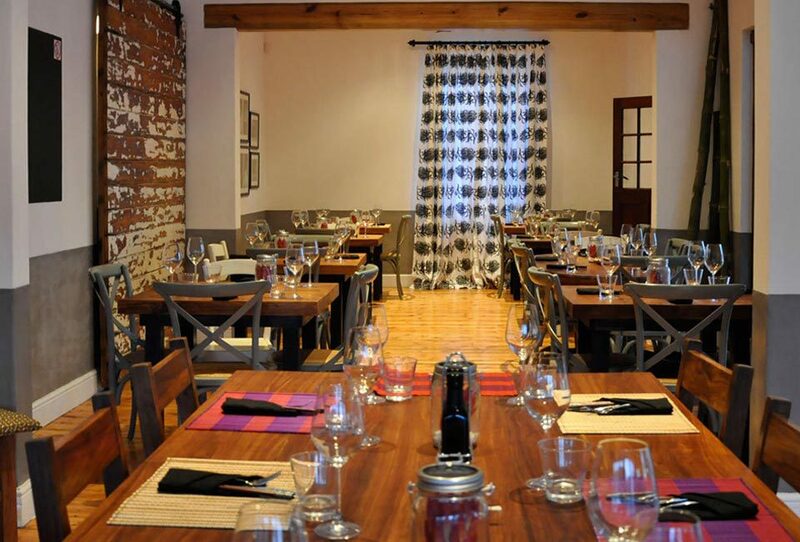 The food is simple and delicious, menu changing frequently with the seasons – small dishes conceived with the wines in mind. 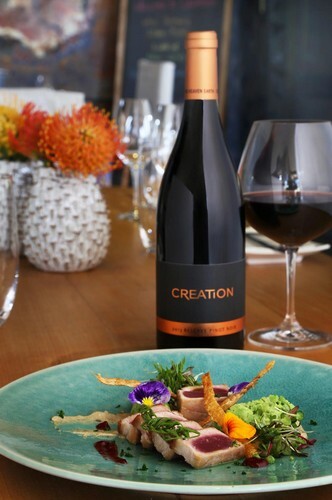 This visit, an outstanding pairing is the interesting take on Caprese using Bocconcini, zesty orange segments and rice noodles scattered with crunchy almond slivers with the renowned Creation 2016 Chardonnay – inspired! Equally memorable is the cauliflower puree with hazelnut and blue vein cheese accompanied by the chocolatey 2015 Creation Merlot (which I prefer to the reserve!). 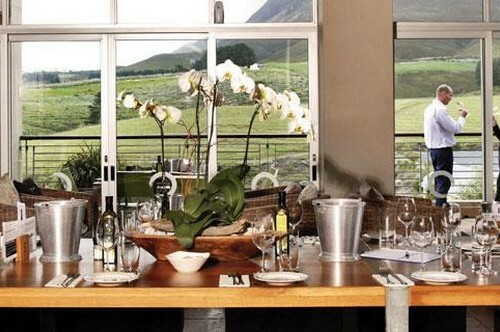 But everything on this visit is delicious and we leave with a warm and fuzzy feeling onward towards Hermanus, happy and satisfied, with a bill of just over ZAR 1,500.00 (water and coffee included) feeling that we’ve had good value.